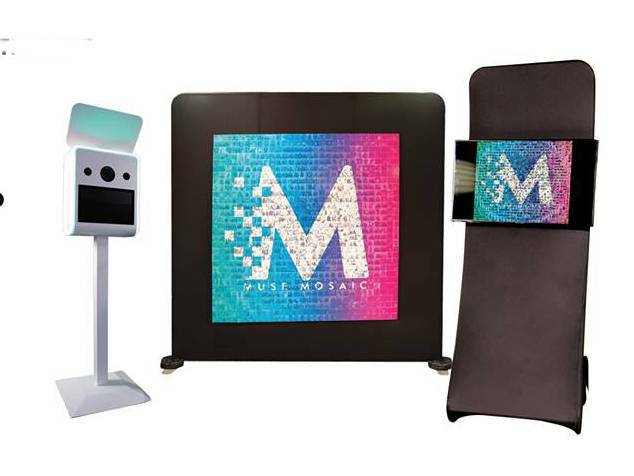 Amaze your guests and your clients and create a social media storm with the latest in live event activations, the Mosaic Wall! We create a physical artwork and also a digital one that can be displayed on a screen and shared! Guests can create a huge billboard sized piece of unique art by placing the photographs we provide them on the wall. Guests can also take their own photographs using their mobile phones, and we can print those too! Our professional photographers and photo booths all link to the same system to flood the wall with photos at busy events. We take ANY image you like and create a blank numbered billboard for the physical artwork. We can make these any size but usually they are 40" x 30" or 60" x 40". We provide the stand. We can also provide a TV and stand for the digital verison. This can also display your advert! As images are created and sent by the guests, our professional photographer or our booths, they appear on the screen and "fly" into place. 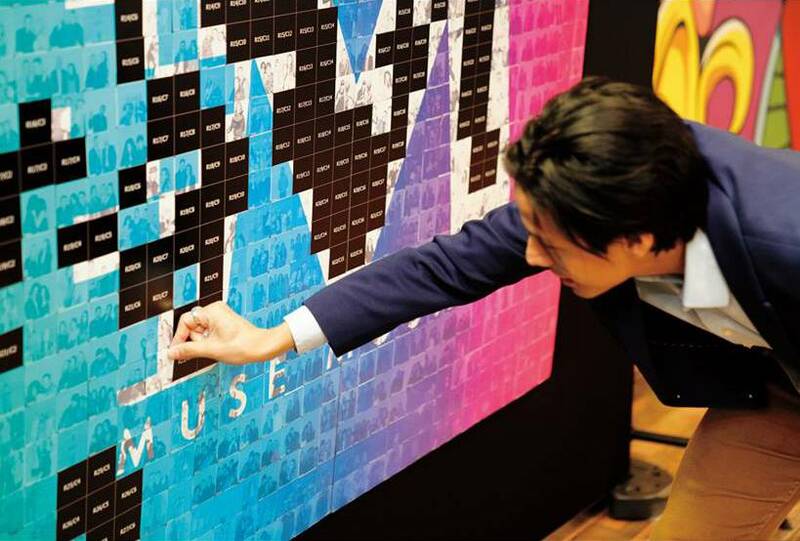 A square adhesive backed photo is printed and guests place it on the wall using the code on the photo as a reference. We can also grab any images online with your event hashtag and add those. And of course guests can share the images using our social sharing setup. The video shows a typical setup with our amazing Venture system, a medium sized mosaic and an example of the animations we can show on the screen. It's a very visually appealing activity and will attract crowds, who will also return to see how the mosaic is progressing. We ensure the mosaic is completed on time and the Client can of course keep the artwork to display. We are fully GDPR compliant and can run surveys, show disclaimers and let the guests share their own images and the completed artwork. We supply full stats and data capture after the event. Call us to see costs, you will be pleasantly suprised at how affordable we have made this!